William Morris was aware of his brothers worship of Farest Rosamund. I just noticed the passage on Farest Hrosshild, which I believe is Hrosmund, the name-source of Rosamund. It means ‘horse protection’. HORSE SHIELD. This is a major find that I would not have found if I were not having a one-way conversation with my muse, Lara Roozemond, who is an expert equestrian. This is another glass slipper, or, horseshoe. J.R. Tolkien was deeply influenced by this story, and the warrior woman on a grey horse. Is this the source for “Shadowfax”? The Shield of the Horse. The name Rosamund (also spelled Rosamond and Rosamunde) is a girls’ name and can also be a family name (surname). Originally it combined the Germanic elements hros, meaning horse, and mund, meaning “protection”. Later, it was influenced by the Latin phrases rosa munda, meaning “pure rose”, and rosa mundi, meaning “rose of the world”. “Rosamonda” is the Italian, “Rosamunde” is the German and “Rosemonde” the French form of the name. Rothschild Name Meaning. German and Jewish (Ashkenazic): habitational name from a house distinguished with a red sign (Middle High German rot ‘red’ + schilt ‘sign’, ‘shield’), the earliest recorded example dating from the 13th century. “So men made way before the grey horse, and its rider, and the horse was much spent and travel-worn. 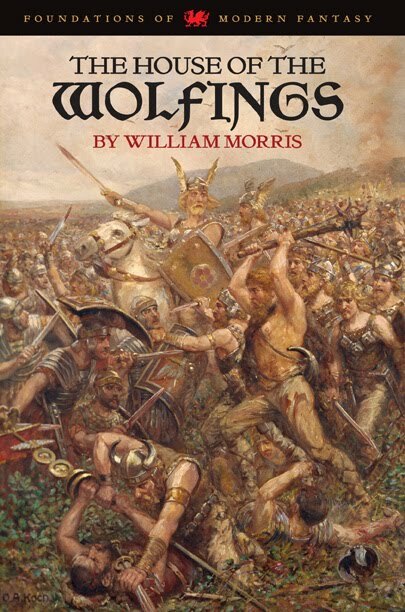 So the woman rode right into the ring of warriors, and drew rein there, and lighted down slowly and painfully, and when she was on the ground could scarce stand for stiffness; and two or three of the swains drew near her to help her, and knew her at once for Hrosshild of the Wolfings, for she was well- known as a doughty woman. Éowyn is a fictional character in Tolkien’s legendarium who appears in his most famous work, The Lord of the Rings. She is a noblewoman of Rohan who is described as a shieldmaiden. Éowyn fell in love with Aragorn, but it soon became clear that he could not return her love although he did not mention his betrothal to Arwen, except by indirect allusion, and would not allow her to join him in going to war. As Aragorn pointed out, her duty was with her people; she had to shoulder the responsibility of ruling Rohan in Théoden’s stead when the war-host of Rohan went to war, a duty he deemed no less valiant. Likening her situation to a “cage”, Éowyn said she feared “[t]o stay behind bars, until use and old age accept them, and all chance of great deeds is gone beyond recall or desire”. In The Return of the King, she disguised herself as a man and, under the alias of Dernhelm (from Old English dern meaning “secret, concealed”), travelled with the Riders of Rohan to the Battle of the Pelennor Fields outside the White City of Minas Tirith in Gondor, carrying with her Meriadoc Brandybuck, who had also been ordered to remain behind, on her horse Windfola. Éowyn is described to be very beautiful; she was tall, slim, pale, and graceful, with long golden hair and grey eyes. In temperament she was idealistic, spirited, brave and high-minded, but very lonely, having sacrificed her own happiness for years to care for her sick uncle and meet the responsibilities of a shield-maiden. The “first germ” of the character that later evolved into Aragorn or Strider was a peculiar hobbit met by Bingo Bolger-Baggins (precursor of Frodo Baggins) at the inn of The Prancing Pony. His description and behaviour, however, was already quite close to the final story, with the difference that the hobbit wore wooden shoes, and was nicknamed Trotter for the “clitter-clap” sound that they produced. He was also accounted to be “one of the wild folk – rangers”, and he played the same role in Frodo’s journey to Rivendell as in The Lord of the Rings. Later Tolkien hesitated about the true identity of “Trotter” for a long time. One of his notes suggested that the Rangers should not be hobbits as originally planned, and that this would mean that Trotter was either a man, or a hobbit who associated himself with the Rangers and was “very well known” (within the story). The latter suggestion was linked to an early comment of Bingo: “I keep on feeling that I have seen him somewhere before”. Tolkien considered that Trotter might be Bilbo Baggins himself, but soon rejected that idea after Aragorn identified himself. Another suggestion was that Trotter was Fosco Took (Bilbo’s first cousin), who “vanished when a lad, owing to Gandalf”. This story was further elaborated, making Trotter a nephew of Bilbo, named Peregrin Boffin, and an elder cousin of Frodo. He was said to have run away after he came of age, some 20 years before Bilbo left the Shire, and had helped Gandalf in tracking Gollum later. A hint was also given as to why Trotter wore wooden shoes: he had been captured by the Dark Lord in Mordor and tortured, but saved by Gandalf; a note was added by Tolkien in the margin, saying that it would later be revealed that Trotter had wooden feet. The conception of Trotter as a hobbit was eventually discarded. Another short-lived idea was to make Trotter “a disguised elf-friend of Bilbo’s in Rivendell,” and a scout from Rivendell who “pretends to be a ranger”. It was not until after Book I was written that Tolkien finally settled on making Trotter a man, introducing him from the beginning as Aragorn, a “descendant of the ancient men of the North, and one of Elrond’s household”. While the history of Númenor and the descendants of Elros and Elendil was not yet fully developed, the germs of it were in existence, and would come to be connected with The Lord of the Rings as the character of Aragorn developed. In 145o the Roesmonts came to own Wolfhouse, an ancient estate in Holland. Is this the source of the wolf coat of arms seen in the Rebleuten guild, and in the captain seals in Bosch? Did members of the Roesmont family found a guild at Wolfhouse? The wolf name is found in two generation of Roesmonts. The name Rudolf consists of the old-high-German words „hr?d “, „hruod “for fame, honour and „wolf “for wolf. Thus Rudolf means as much as „the honorable wolf “, „the fame-rich wolf “. Rudolf is since the Middle Ages a popular first name in Germany. Waterhoef 2 at Nijnsel (the Waterhoef). Well already century existed in the fourteenth. 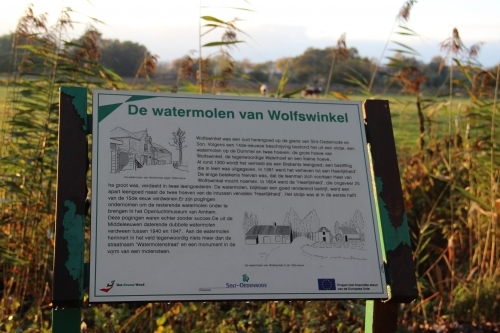 According to veertiende-eeuwse a description existed it well from slotje, a water mill on the dommel and two hoeves: the large hoeve of wolf shop, the present Waterhoef, and the small hoeve or court. In 1604 the heerlijkheid was divided in two leengoederen. The water mill became a separate leengoed. The slotje had already disappeared in first half of the fifteenth century. 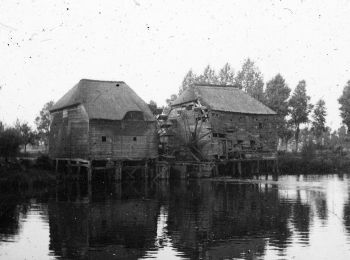 In the twentieth century one has attempted categorise the water mill in the air museum at arnhem, what however failed, and the mill were eventually demolished. The oldest well-known eiganaar were Agnes van Wolfswinkel; they comes for in the fourteenth century. Its zoon Colen van Dijnter inherits it well. Then hertogin gives Johanna the heerlijkheid in leen to Geerke and Emont van Dijnter. In 1450 the family Roesmont in the possession is. Afterwards the families follow Coensborch and Molenpas. In the sixteenth and seventeenth century we encounter the families Huyoel, Bogaers, the Cocq, Van Broekhoven and Thielemans. In 1604 the mill is detached of good and sold to Coenraedt Jan Adriaens. The only remained part of wolf shop is the waterhoef, he who if farm in use is. It seems that the Rebleute already end 14. 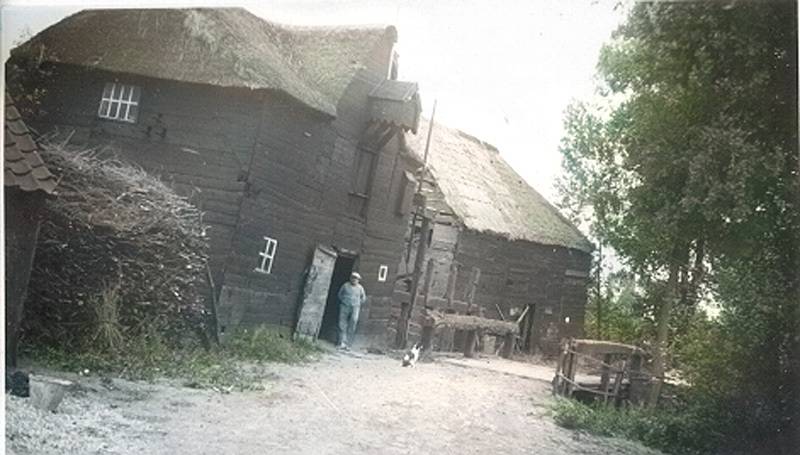 Century had a house with summerhouse, tap room and garden. Its situation is not provable however any longer. Also one does not know whether the Rebleute along-used their house during its combination with the grey cloths to the Sporengasse.It stands firmly however that 1450 the house were acquired to the “bell” at the free road including neighboring houses at the white lane. Vormals had been the house in possession of the noble Ramsteiner, and therefore probably also the wonderful wandmalereien in the large room came. They became supposed by the painter Hans von Schlettstadt at the beginning of 15. Century provides. Fig. 1: Guild hall of 1669Fig. 2: Guild hall of 1896Up to its outline 1896 this guild hall experienced many uses together with its original purpose as meeting place for guild and guild executive committee: As dance and fencing hall, exercise restaurant for acrobat, library, camp for bells and cannons of a caster, barracks for French and allied troops, seat of cent ral police headquarters as well as house for various shopkeepers. During these 496 years the guild hall of the Rebleute was often reconditioned and converted. This from means of the guild, but still more from donations of guildsmen. DIE guild to Rebleuten does not have a clear birth year. 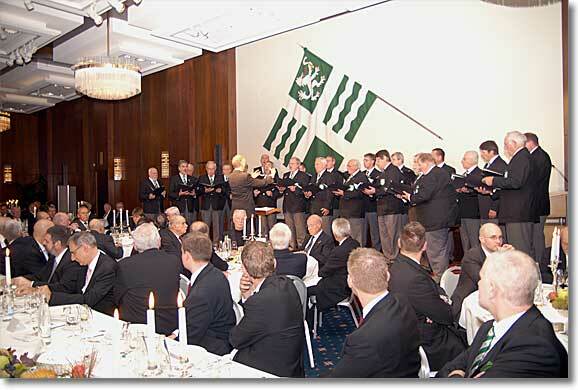 It is safe that the Rebleute was the last craftsmen of Basel, who united in a guild. At least the time of the establishment of this guild can be specified on approximately two years exactly.Um 1364 is occupied that the guildless Rebleute is militarily organized. Two years later lie themselves the city Basel and Jean de Vienne, bishop of Basel, violently in the hair. During the controversy the Baslern it was accused that they would have begun without the benediction of bishop Zunftmeister and Zuenfte. It can act thereby only around the guild to Rebleuten. DIE church of the Rebleute, St.Ulrich at the knight lane. 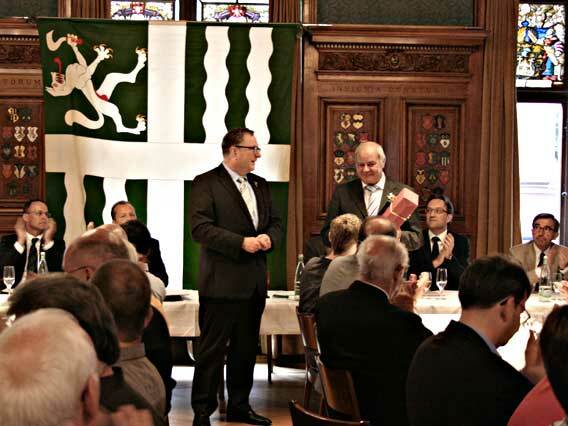 Here the spell ride began the Rebleute in the Gescheid an important role to ramp with that played in each case in the 15.Jh.Without the benediction of the bishopThereforeA lle guilds had developed with the agreement of the Basler of bishops, except the guild to Rebleuten. The advice decided the combination of the numerous, socially low for standing, at the beginning of the 1380er years Rebleute with the less numerous grey cloths betuchten nevertheless. Viticulture met thus on textile handicraft. DIE in a “split guild” did not unite Rebleute and grey cloths became so quite gladly with one another – the handicrafts and the social status were too different. A debate of full passion resulted 1397. 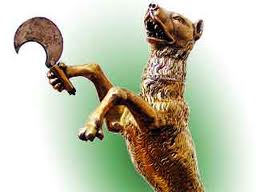 The grey cloths were hereditary east over the fact that its old coat of arms animal the wolf held the Rebmesser of the Rebleute now in the paw.Zur patient precaution in the guild is well-known from those days the following. To 27 March 1398 it was noted that one had agreed with the male nurses of the Basler of hospital that for the guild of the grey cloths and Rebleute a bed place with bed things under its own glasfenster is always available. There ill guildsmen admission should find. Thus we see that Morris must be considered the pioneer of the poetical movement with which these three men are chiefly identified. Whether we give them the vague title of Pre-Raphaelites, or of apostles of mediævalism, or of representatives of the stained-glass school of poetry, it is evident that they were united, at least in their earlier years, by the possession of common ideals and a common inspiration. The fact is also worth noting that ‘The Defence of Guenevere,’ a considerable section of which deals with material taken from the cycle of Arthurian legend, was published in the year that gave birth to the first group of Tennyson’s ‘Idylls of the King.’ A comparison of these two volumes is instructive; for it shows how divergent were the aims of Tennyson’s exquisite but sophisticated art and the simpler and bolder art of the new poet. In diction, in emotional color, and in envisagement of the period with which both are concerned, the two works are very sharply contrasted: that of Tennyson embodies the last and most subtle refinement of a continuous literary tradition, while that of Morris harks back to earlier modes of thought and expression, and sacrifices the conventional trappings of modern song in order to reproduce with more of vital truthfulness the spirit of a vanished past. This point must be insisted upon, because it differentiates, not merely the two singers that have been named, but the two groups to which they respectively belong; and because it offers what justification there may be for the epithet “Pre-Raphaelite” so frequently applied to one of the groups. As the genius of Morris developed, his art became far finer; but it retained to the last those qualities of simplicity and sincerity that had informed it in its beginnings. but a sketch of what he wrote. The Wolf, the Rose, and the Freisian Horse.